The latest escalation of violence in eastern Ukraine was caused by an attack from Ukrainian paramilitary units, the Kremlin said, citing its own data and rejecting accusations by Kiev, which said Russia is responsible for it. Reports of intensified fighting between pro-Ukrainian forces and rebels along the disengagement line in eastern Ukraine came on Monday. According to Moscow’s data, the hostilities were provoked by Ukrainian paramilitary units, Kremlin spokesman Dmitry Peskov said on Tuesday. Peskov said that while the so-called “volunteer battalions” are not fully controlled by the government in Kiev, the support provided by regular Ukrainian troops indicates that Ukraine was willing to undermine the truce with the rebels under the Minsk agreement. The latest violence affected not only combatants, but also civilians in the region. The Ukrainian shelling on Tuesday morning disrupted power supply to one of the coalmines in the rebel-held territory near Avdeevka, the focus of the latest hostilities. The power loss happened when over 200 miners were underground. It took rescue services several hours to evacuate them all. An RT contributor was also caught in shelling against the city of Donetsk on Tuesday. He managed to get away from the shelling, finding refuge in the basement of a residential building where locals were sheltering. Viktor Miroshnikov, a stringer for RT’s Ruptly video news agency, was also caught in the shelling. Moscow has repeatedly accused Kiev of failing to fulfill its end of the bargain with the regions of Donetsk and Lugansk, thus stalling a full cessation of hostilities in the east of the country. “It appears to be an attempt to draw attention away from the fragile situation [in Ukraine] by aggressive actions in the Donbass region,” the official added. 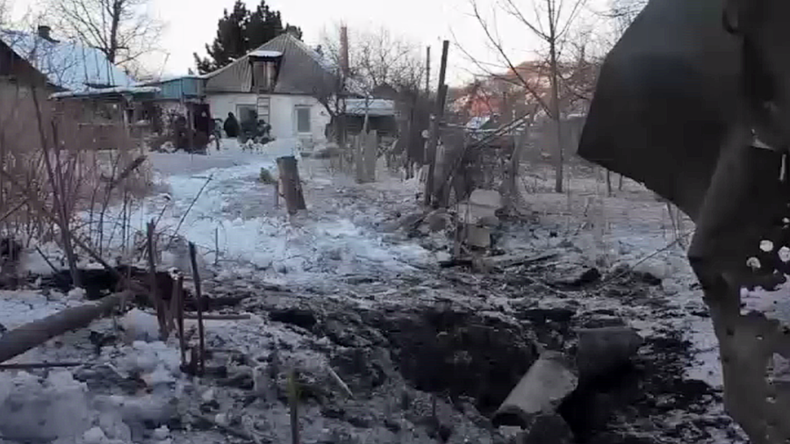 On Monday the Ukrainian Foreign Ministry blamed Russia for the spike in violence in eastern Ukraine. 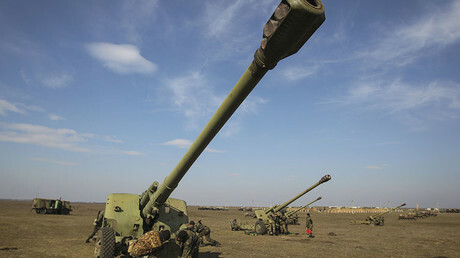 “Over the past two days the Russian occupational forces have conducted along the entire engagement line massive shelling with all weapons at their disposal, including those banned under the Minsk agreement,” the statement claimed. 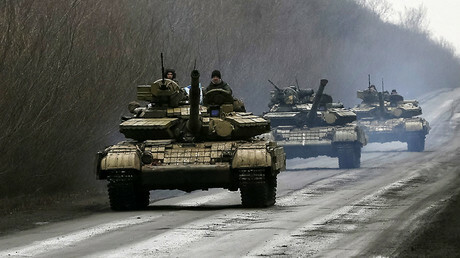 Kiev, on numerous occasions, has accused Russia of sending weapons and troops into the rebel-controlled territories. No compelling evidence of the claims, however, has been published, and Russia continues to deny the accusations.